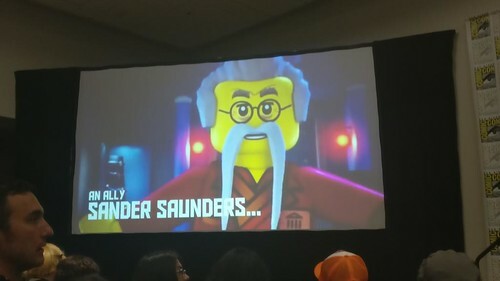 The LEGO Ninjago TV series panel was earlier today at San Diego Comic Con 2017 and there was some new information regarding Season 8. 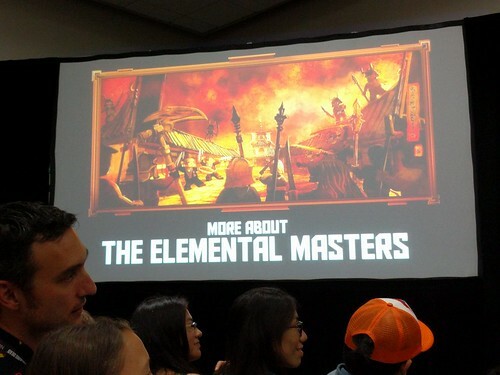 I was also live-tweeting the panel which can check out on Twitter. 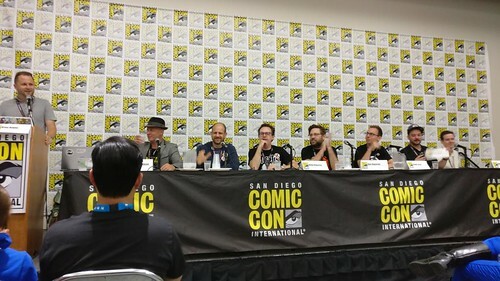 The panel consisted of Writers Kevin and Dan Hageman, showrunner Tommy Andreasen, senior creative director Simon Lucas, IP lead Nelson Lamonica, and suprise guest David Shayne. 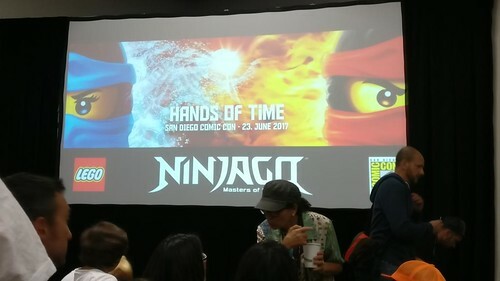 The first thing the panel talked about was last season’s Hands of Time. 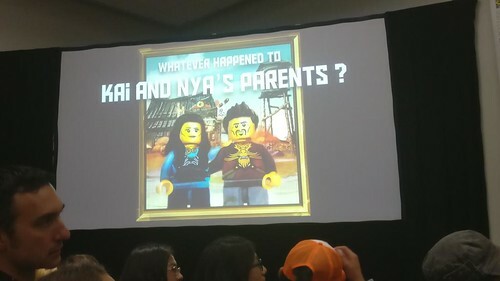 The first thing the panel talked about was some of the inner workings of the previous season. 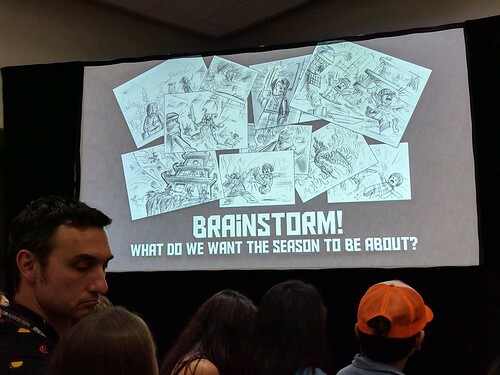 They showed off some concept art and talked about what the season was about. 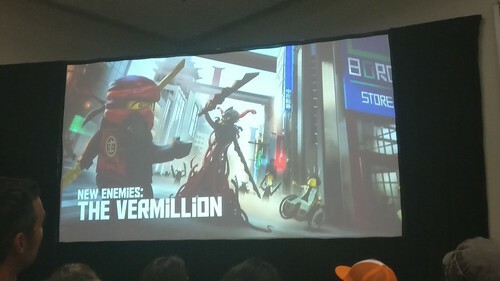 They dug deeper into some of the villains who were involved including Sander Saunders, aka Krux, and the Vermillion. Like before, there are some prototypes of the Vermillion. 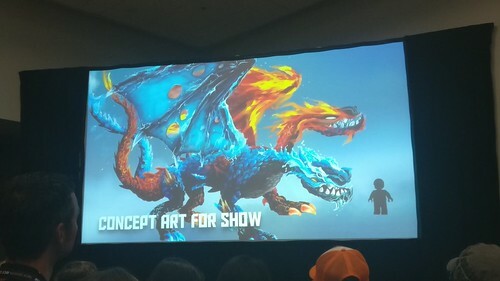 Next up is more concept art for the Kai and Nya’s Fusion Dragon. 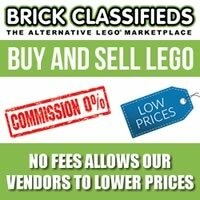 They explained that they wanted to make it look more organic. 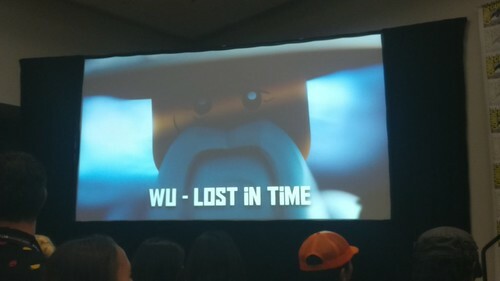 Finally, there was the big question of where Wu is. 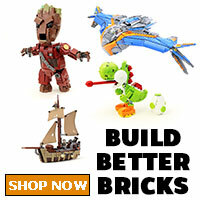 We’ll find out more in Season 8. 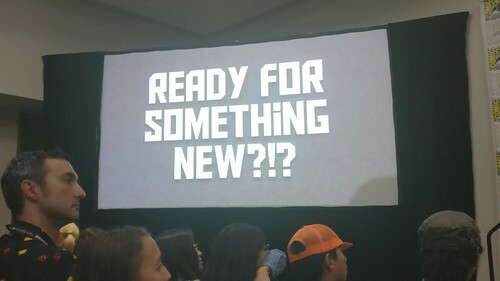 One cool thing that was touched on was some kids at last year’s panel gave some suggestions on how Zane got his powers and the Hagemans took those suggestions and we will be seeing them next season. Finally, we have the opening sequence clip for Season 8. I didn’t record or take pictures as it technically wasn’t allowed but that didn’t stop some from doing it. Embedded below is the whole clip which you can watch before it gets taken down. You can see a group of ninjas trying to steal a secret kabuki mask from a museum. 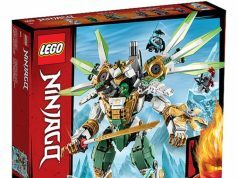 The ninjas have a cool outfit which reminds me of Power Rangers Samurai. The alarm goes off and Lloyd goes chasing after them. The leader of the gang gets away on a bike and Lloyd calls Pixal for his car which looks pretty cool. At the end, the bad guy flies off in a parachute and gets away. 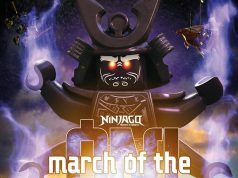 At the end, we get the the title of the season as Sons of Garmadon. As the Hagemans explained, the fans of the show are growing up and they want the show to grow up with them. 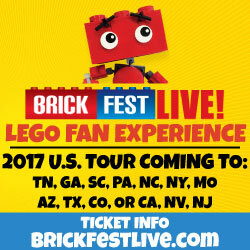 One change is the voice actor for Lloyd will now be Sam Vincent. During the Q&A, there were some notable questions and statements. 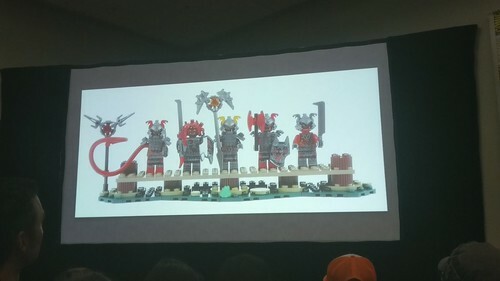 One thing is that we will be seeing more of the Brown Ninja, Dareth. Kevin Hageman stated that there will be more female characters in S8 as well. 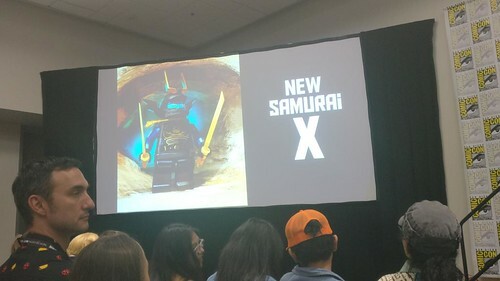 The hero ninjas will look somewhat similar to the ones in the movie because they want to make the link between the show and movie easier for newer fans. 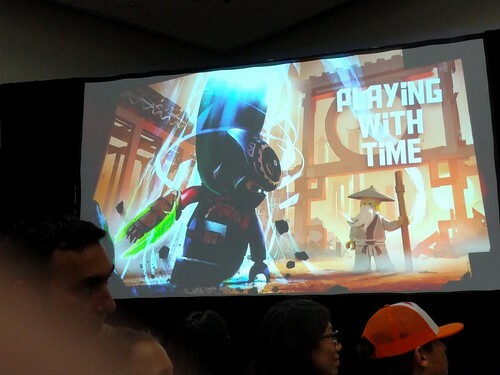 There was no release date for LEGO Ninjago Sons of Garmadon except that it’ll be coming out something next year.